Carlo has been training and teaching Muay Thai for the past 8 years. As a child he was always very athletic and played on various basketball teams in and outside of school. 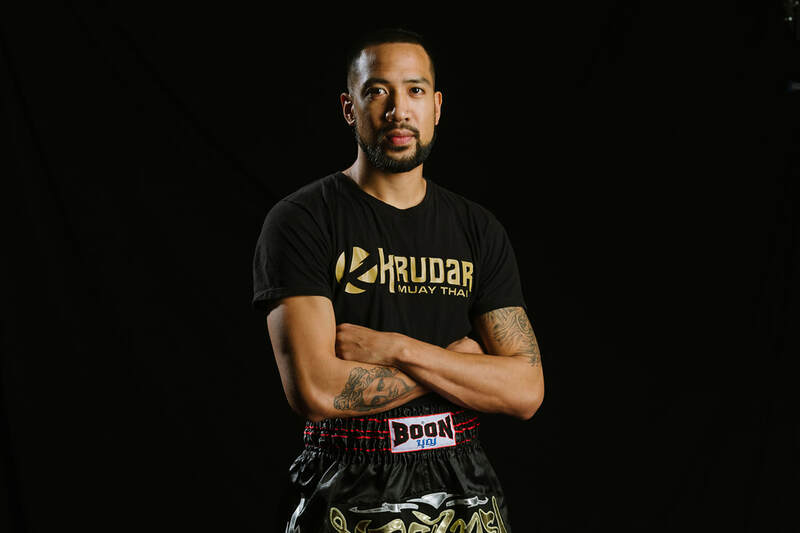 He learned the power of sports, team work, and collaboration at a very young age and carried these lessons with him when he stumbled upon a Muay Thai class as a young adult. He instantly fell in love with the sport and after years of hard training he ventured into the ring to compete. He was known for his high-kick, his favourite technique which he still loves to teach to this day! When he joined the community at Don Mills 4 years ago, he was eager to share his love with the younger generation and his heart led him to the kids program. Carlo is now the Head Instructor of the Kids Program where he has developed a strong reputation for working wonders with the kids he trains. His friendly demeanour, yet organized, strategic, and strong work ethic are the perfect merge to helping kids develop the character set of true a Martial Artist. The kids program teaches life skills through Muay Thai practice - Leadership, Team-Work, Discipline, Confidence - all skills that take a very unique and special teacher to lead. Parents always remark at Carlo's ability to relate to the children, he finds ways to make the classes fun while ensuring the kids are developing and growing to their fullest potential. He challenges them and supports their growth whether at the gym, at school, or in other extra curricular activities. Carlo's passion and love for his students is alive and magical in every class. To try a class with Carlo, please see our Don Mills Class Schedule here.